This podcast will answer 2 of the most frequently asked questions and that is how I capture audio and video for the podcast. 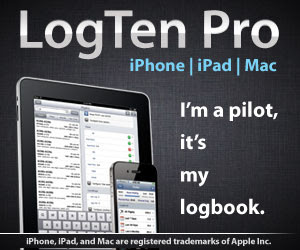 This video will also feature 2 products from a company called Foreflight- Foreflight Checklist and Foreflight Mobile. Below is a direct link to the audio cable and camera mount that I will feature as well as links to Foreflight. Mount is discontinued. There are several on the market and too many to list here as a recommendation. thanks a million for the tips. keep up the great work. You are quite welcome. I enjoy doing them and getting all of the great feedback from everyone. Greg: This was a nicely done video - well produced and really interesting. Keep up the good work! I think we'll always have audio podcasts, but video is likely to be where the big growth will occur in the future - at least that's my projection. So it's great to see you and a couple of other aviators leading in that area! Useful information for other people and student pilots to start podcasting. Thanks for these.